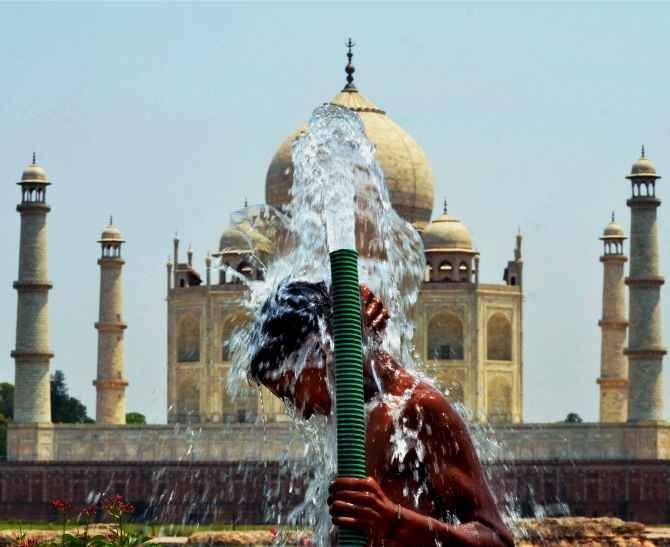 Heat wave conditions continued to sweep across north India on Tuesday with the mercury hovering over the 45 degrees Celsius mark in most places, even as the weather department dispelled any hope of immediate relief. The conditions are not likely to change till June 12, according to the meteorological department. The map above gives you a information about the rising temperatures in districts across India. PHOTOS: India becomes too hot to handle! PHOTOS: Delhi sizzles at over 45 deg Celsius!